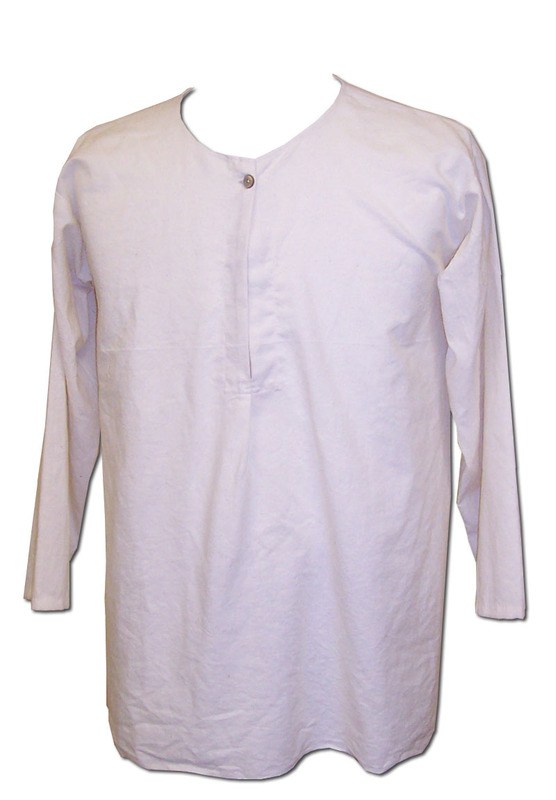 Based on an original in my collection, this shirt is made of 100% natural cotton muslin. It is all machine sewn except for the single buttonhole and the sleeve cuffs which are hand done. The seams are not felled and the hem is cut on the selvage. 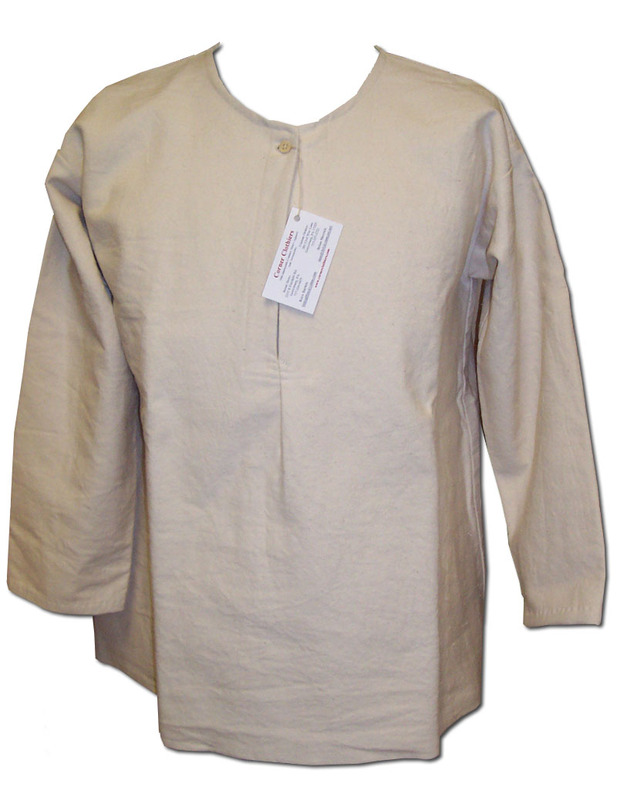 The sleeves are three-quarter in length and it comes with a small shell button. The sizing for these are as follows: Small (38-40), Medium (42-44), Large (44-46), and X-Large (48-50).